Over 6,000+ U.S.-based blog writers, creating high-quality, search-optimized content. You approve the content. If it’s not perfect, no problem. You won’t pay for it! That is our agency guarantee. You provide the keywords. 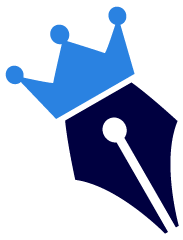 Our writers will create content that will increase your brand visibility, put your website at the top of search results, and drive focused traffic to your business. Do you want to be part of SteadyContent? You're one step closer to having your Saturdays back! We are all familiar with the standard types of accounts when it comes to later-in-life financial planning. However, in the current economy, these accounts will only guarantee you the minimum standard of living. If you’re looking for a little luxury in your later years, consider funding your retirement through real estate investments. Real estate has been used for years by savvy individuals, and it’s your turn to join the ranks of the successfully retired. Investing in real estate allows you to enjoy the benefits of a passive income. Passive income is achieved by investing in properties that will generate cash flow beyond what is needed to sustain the investment. In other words, any money you make after you pay the mortgage and upkeep the property goes into your pocket. These funds will pad your retirement, allowing you to leave the workplace and enjoy a comfortable lifestyle. A MDU, or multi-dwelling unit, has two or more dwellings underneath one roof. Each unit has a kitchen, living area, bathroom(s), and bedroom(s). An example of a MDU is an apartment building. Investing in one or more MDUs can maximize passive income, which we already discussed above, by providing multiple revenue streams from the purchase of one property. The income from each unit is independent of the others, meaning the loss of income from one unit will not automatically cause the loss of income from the other units. Investing in an MDU is a smart way to maximize your return, since purchasing one apartment building is easier than purchasing several single-family homes. An MDU can also guarantee you have a place to live during your retirement since you can reside in one of the units while turning a profit on the others. There are several benefits to investing in MDUs, or multi-family properties. Beyond creating passive income, let’s look at what makes MDUs especially attractive as a retirement investment. As we stated above, a multi-family property will be occupied by several, separate tenants all paying rent independently of each other. If you lose a tenant, you still have others paying rent while you fill the empty unit. There’s no such guarantee of income from a single-family home. If a single-family home is empty, it’s not generating revenue for your retirement. The same could be said for multi-unit office spaces, if you’re looking for a higher-dollar investment. Multiple units equal multiple ways to make money. When you purchase a MDU, you have the option to hire a property management company. The overhead to hire the company and manage the property will be significantly less than the overhead to manage several single-family homes. A management company will handle things like rent collection and soliciting tenants, allowing you to relax and enjoy your retirement. Even in a down economy, multi-family properties usually have tenants. This means your risk is less when investing in these types of properties. You should be able to draw passive income even in harder economic times. Also, having multiple dwellings means your revenue streams are not dependent on each other. This also equals less risk. It Takes Time to See ROI – Get Started! SEO is a very effective marketing strategy and can drive thousands of customers to your website monthly. However, it takes time to see ROI, or “Return On Investment.” This means implementing SEO takes patience. A recent survey shows that 94 percent of online marketers using SEO effectively plan to continue or increase their current SEO budget. Hiring an agency to create SEO content can be expensive, but the cost is worth it. The investment pays for itself in increased brand recognition and greater search and referral-driven traffic. So be patient. You will see the return on your SEO investment soon. We are in a “Golden Age” right now, where black hat tactics and manipulation are no match for SEO. There was a time when competitors could displace their competition using these underhanded strategies. Now, however, SEO reigns and your company can benefit greatly. This is the time to invest in SEO, before digital assistants and immediate answers take over the search engine territory. With every word of content you post, every link you establish, you are increasing your search visibility. This is called “Compounding Returns.” Essentially, you are building your reputation one post or link at a time. The more you put your business out there, the more authority you have on the web. The longer this goes on, the more you will reap conversions and referral traffic. The sooner you start building your reputation and compounding your interest growth, the sooner you will reap rewards. The longer you wait to start utilizing SEO, the more you will lose out on high-ranking positions for lucrative keywords. Your competitors will build their defenses around their positions, making it harder to get in. They will add more targeted keywords and increase their rankings. The best way to avoid missing out is to get in now. Start using SEO today. Don’t be intimidated by agencies that try to convince you to sign a six-month contract. There are SEO agencies out there that will work with you to accomplish your goals. Talk to professionals. Establish a budget and get started. Results will take time, but you can tweak things as you go. The sooner you get started, the better ROI you will see. Don’t let the competition win because you didn’t join the race. Start using SEO and maximize your web exposure today. According to data published by The Wall Street Journal, 3.7 million Americans submitted amended federal income tax returns in 2015. These amended returns were filed to take advantage of tax deductions/credits, to submit fresh financial information, and to add new income data. Math errors are quite common on tax returns and constitute the first category of errors to be flagged, the IRS explains. In some cases, IRS employees correct computational and clerical errors. This is especially true for paper returns, which are more likely to have missing or misquoted figures than electronically filed returns. To avoid such mistakes, double-check the figures that you provide throughout the first two pages of your returns. This error is particularly common among people who claim a dependent exemption, because they have to list the SSNs or ITINs for their dependents. If you have dependents, you should verify all the SSNs/ITINs listed on your tax return to ensure they are correct. One of the best ways to do this is by double-checking all the social security numbers on your tax return against the actual cards. Alternatively, you can verify this data from the actual cardholders. Another common filing mistake that you should avoid is providing an erroneous filing status. This can occur when separated couples file their returns separately while the IRS’s records show that they are still married. To avoid having to correct your return, verify your filing status. It determines the deductions and credits you receive, and may lower your tax responsibility. Either way, make sure to use the correct filing status or you may end up with an IRS lien on your property. While it may seem absurd, many taxpayers actually misspell their names when filing their returns due to a number of reasons. For starters, the current tax preparation software tools do not cover the entirety and cultural diversity of American names, which means they could mispronounce your name or offer a closely similar one. If you fail to verify every detail, you could enter an incorrect name on your return. In addition, individuals who file returns on behalf of others, including tax/financial consultants may end up mispronouncing their client’s names. Divorced individuals could accidentally use the names of former spouses even after legally adopting other names. If you are a contractor or freelance employee who receives a form 1099 for taxable income, make sure to keep detailed records of all sources of income. Also, make sure to report them correctly. Penalties from the IRS for unreported earnings are very steep. Remember, the IRS keeps track of all legal transactions via form 1099. The penalties for this offense vary depending on the size of unreported earnings and could include wage garnishment. It is important to note that any federal refund, credit, or extension should be filed within three years of the original filing. Every year, millions of Americans file tax returns that contain mistakes, including misspelled names, erroneous income figures, computation/math errors, erroneous Social Security Numbers, and wrong filing statuses. Avoid the hassle of amending your return by thoroughly checking your math, your status, and your name before you file. 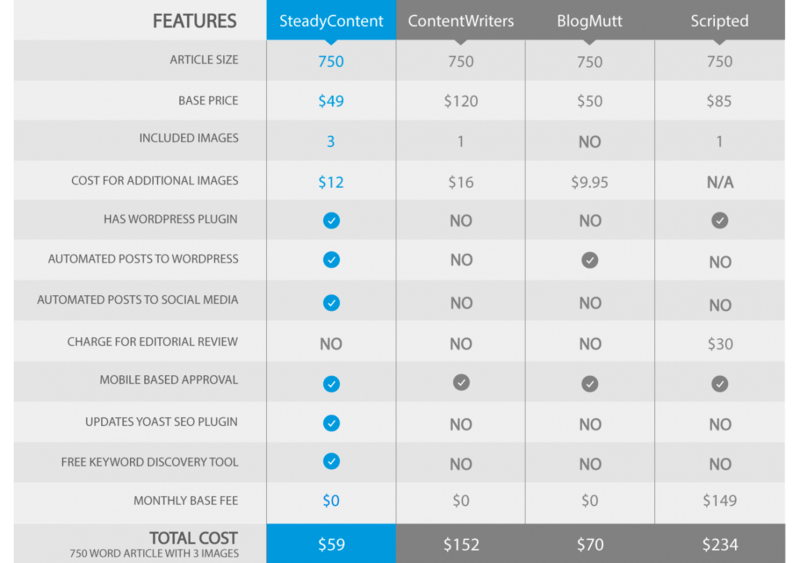 SteadyContent.com is your source for quality, consistent, SEO-based blog content. On a daily or weekly basis, we will make you relevant and grow your customer base. Let our words keep you on your customer’s radar. After you purchase real estate, the first thing you may consider is changing, upgrading, or completely demolishing aspects of your home that don’t suit your needs or style. Giving your kitchen a facelift can be a surefire way to enhance your home’s aesthetics and functionality while increasing its value. In areas like Coconut Grove, Brickell, and S. Beach properties sell at a premium. Any work done should be the highest quality achievable within your budget. It’s for that reason many people consider hiring a professional designer. The designer you should choose depends on the work you need to be done and where you are getting your supplies. National chains and retailers will often have designers on staff at little to no cost. There are also private designers that work on a per contract basis. Although they cost more, they may give you more impartial advice on materials and design because they rarely have direct brand affiliations. When trying to find a designer, seeking the recommendations of friends and family is useful. Some communities like Coral Gables and Pinecrest have designers many homeowners have used with solid reputations. There are also resources like the National Kitchen and Bath Association, which list reputable designers. No matter where you locate your designer, they should have a portfolio of their previous work to review. Keep in mind; designers may be more versed in some areas. If you have a modest single family home and are not looking for opulent trimmings, picking a designer that specializes in upgrading luxury real estate may not be the best way to go. Also, some owners have unique property aspects they may want to be enhanced. For example, waterfront properties have the potential for unique design ideas like open-air walls. Ask potential designers share their design strengths and note their weaknesses. Most importantly, be patient. Doing a remodel properly is a process and there will be some inconvenience to you as your project is in the works. Our site is your premier resource for real estate related topics in Miami Beach, Coconut Grove, and the surrounding areas. If you have a question, we likely have an answer. Check out some of our other articles, blogs, and resources. Is PRP Facial Treatment Right for You? At the Osteopathic Center, we specialize in the latest PRP facial treatment technology and cosmetic therapies. We understand signs of aging, trauma, acne scarring, and sun damage can become heavily evident on your face and neck after time. Also, common issues, like dark under eye circles, can greatly change the way other’s perceive you. Fortunately, PRP facial rejuvenation can help restore and correct such imperfections. Platelet-rich plasma, PRP, has been used as an effective treatment in orthopedic medicine, dentistry, and reconstructive surgery for 30 years. It is garnering mainstream popularity due to its proven effectiveness and organic approach to cosmetic improvements. Your own blood platelets are used in the procedure, rather than a host of chemicals, to renew the appearance of your skin. PRP facial treatment is able to stimulate your own collagen, promoting total facial rejuvenation rather than attempting to attack individual wrinkles. If your face is beginning to sink in from age it can add volume and youthful plumpness. The volumizing effect extends to under eye hollows and sunken cheeks. Also improved are skin tone, tightness, and overall texture. This is in stark contrast to hyaluronic acid fillers that can be ineffective in many areas due to placement difficulty or the penetration of treatment. That said, our team can advise you on whether a pairing of the two types therapies can provide more pronounced results. What may be needed will be dependent on your skin’s condition. Platelets are designed to help your body’s tissues heal and grow new cells. Your body responds best to its own cells, so using your freshly prepared PRP virtually eliminates the possibility of negative side effects. Each session only takes about 20 minutes. During your session, a small amount of blood will be drawn. While your PRP is prepared your face and/or neck will be cleansed and prepped for treatment.The PRP that is injected into your skin will trigger the natural regeneration of damaged tissue and collagen production. Since PRP therapy is far less invasive than traditional plastic surgery techniques there is no post-procedure care time required. Effects of your treatment will begin to show two to three weeks after your session and will improve with time. Ideally, you will receive three treatments spaced about two weeks apart for maximum benefit. Results can last for up to 18 months. A MDU, or multi-dwelling unit, has two or more dwellings underneath one roof. Each unit has a kitchen, living area, bathroom(s), and bedroom(s). An example of a MDU is an apartment building. Investing in one or more MDUs can maximize passive income, which we already discussed above, by providing multiple revenue streams from the purchase of one property. The income from each unit is independent of the others, meaning the loss of income from one unit will not automatically cause the loss of income from the other units. Investing in an MDU is a smart way to maximize your return, since purchasing one apartment building is easier than purchasing several single-family homes. An MDU can also guarantee you have a place to live during your retirement, since you can reside in one of the units while turning a profit on the others.